Charge up to 16 GoPro cameras at the same time. 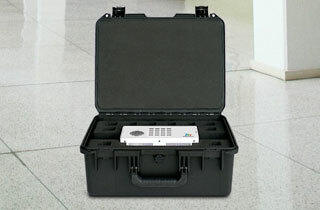 Tough waterproof case with cut foam interior. Ideal for extreme sports, police, miltary and more. To order, or for more information, please call 01275 858 477 or click here. GoPro cameras are known for their lightweight, rugged character. Popular in motorsports, watersports and extreme sports as well as with police forces and military, these cameras are no stranger to action. 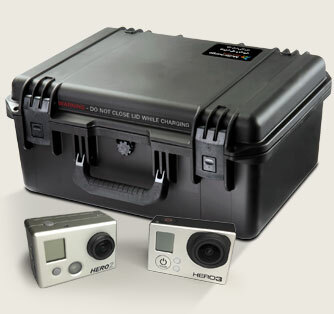 When you have multiple GoPro cameras to manage, you need a case to match. 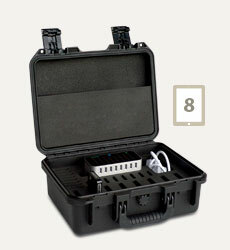 Introducing the Charging Case for 16 GoPro Cameras from Multicharge. 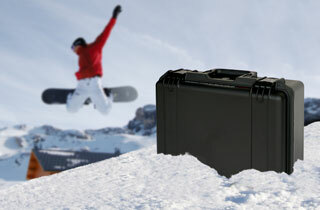 A rugged and lightweight charger case for multiple GoPro cameras that's built to face the elements. Waterproof, shockproof, dustproof - it's the perfect solution for charging, transporting and storing multiple GoPro cameras. Charge multiple GoPro cameras in approximately the same time as it would take to charge just one. With Multicharge technology built-in, you can save time and get back to the action quicker than ever. 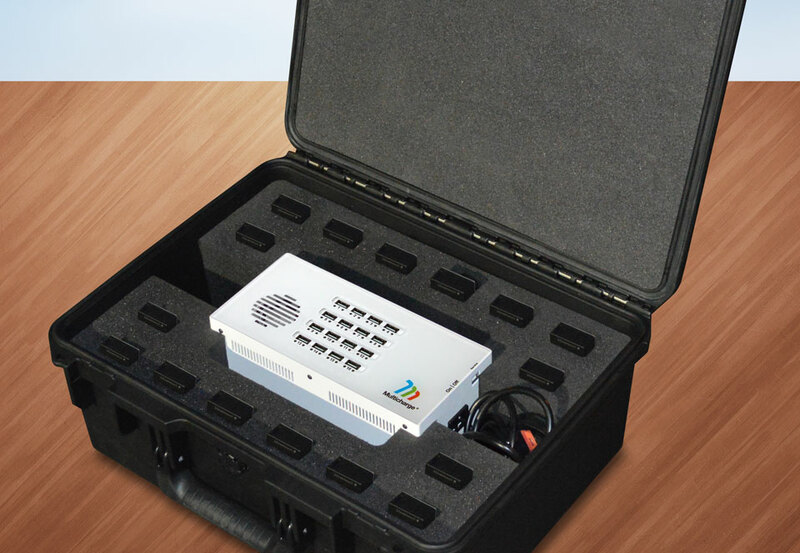 We've kept all the power inside the case, so there's no clunky power brick to cart around. 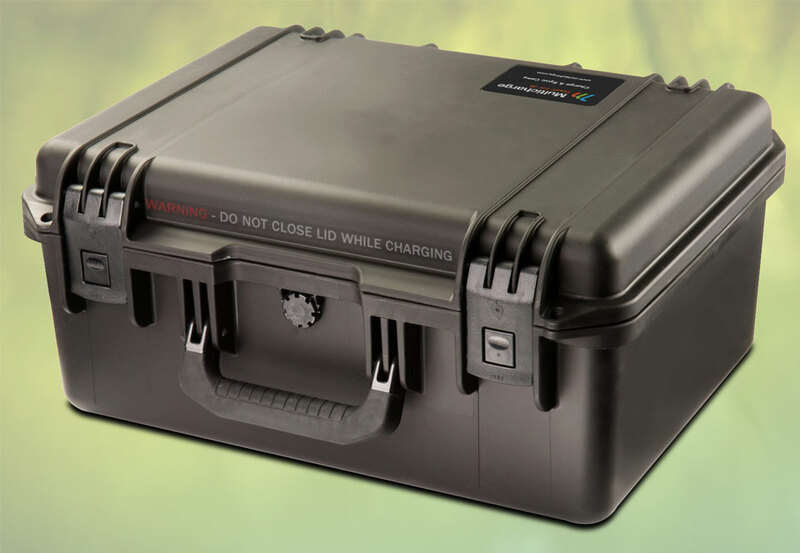 The Multicharge Case is rugged and lightweight, just like the cameras inside. 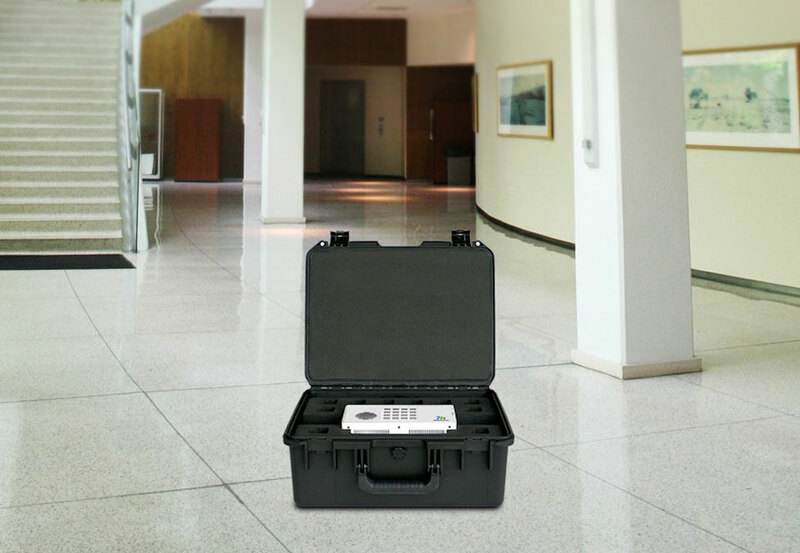 Enjoy all the strength and features of a world-class Peli ® - airtight, waterproof, dust proof, corrosion proof, crush proof and shatter resistant. 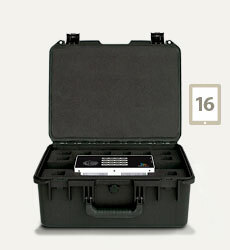 A custom high-density foam insert offers cushioned protection for each device so you can transport and store your multiple cameras safely and easily. 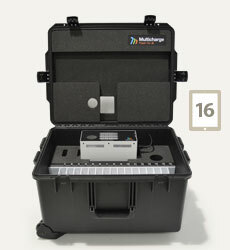 The Multicharge GoPro case arrives fully assembled - just connect your cameras, plug the case into a power socket and you're ready to go. 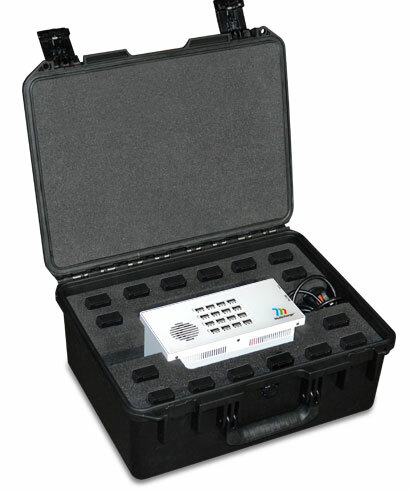 With strong and comfortable latches, easy access to each camera and individual LEDs that let you see when each camera is fully charged, the Multicharge Case has been designed to be as user-friendly as possible. 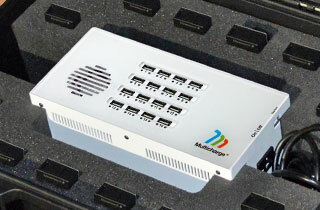 No separate 'power brick' - it's all inside the case! To place an order or to find out more, call us today on 01275 858 477.